This is a simple puzzle game but very interesting. It can train your brain and your children to think in a smarter way. 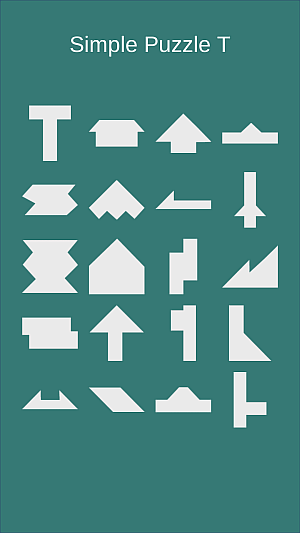 Move, flip or rotate the four objects to build all pre-definded shapes (display in Main Menu).